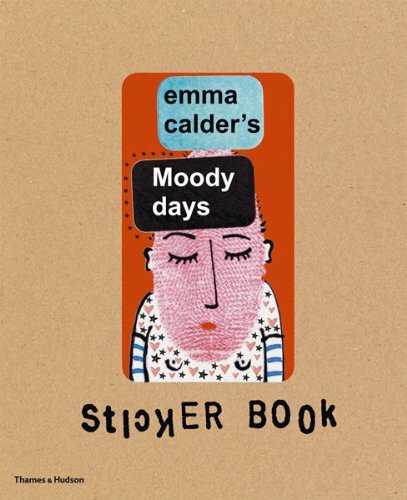 It's a year since the publication of Emma Calder's Moody days Sticker Book. And I still have tons of related work, that I have not yet put on this blog. 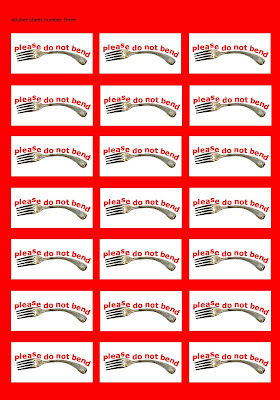 Here is Sticker Sheet Number Three. 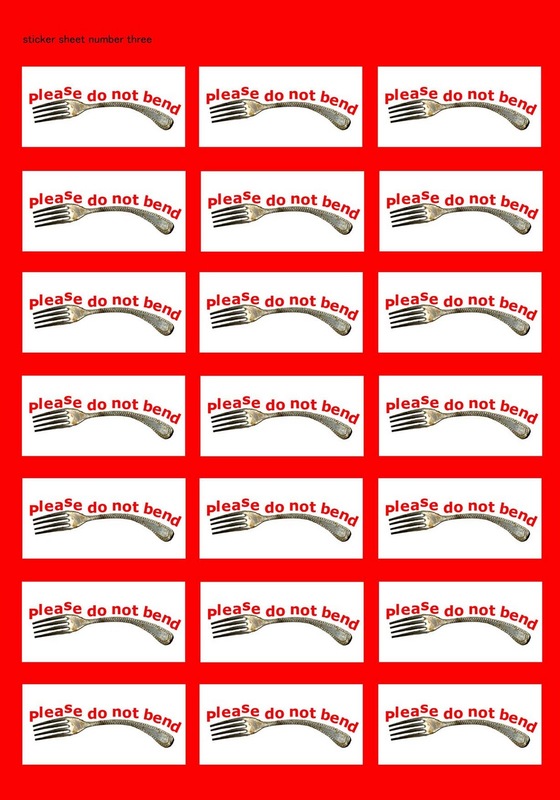 This sticker was purely practical and was inspired by the famous seventies conjurer Uri Geller who used psychokinesis and telepathy to bend forks live on television. Apparantly!